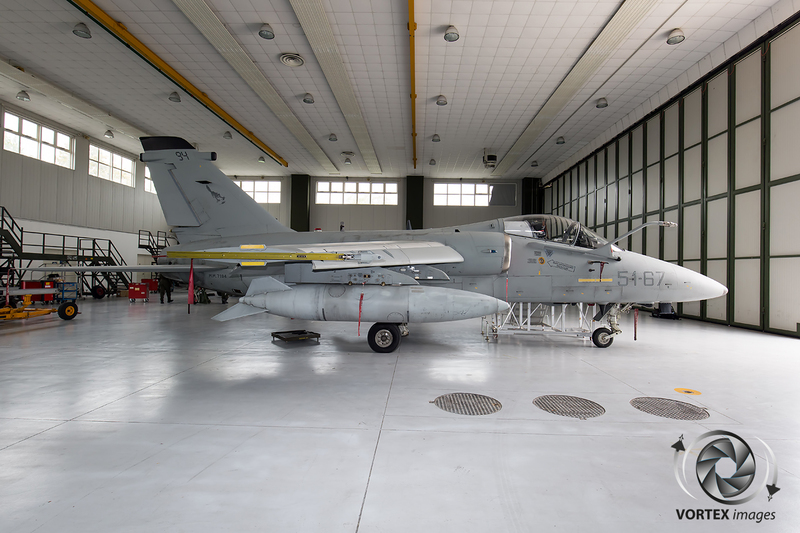 Istrana Airbase, in the Northern part of Italy, is home to 51 Stormo (Wing) which is flying the last of the AMX International ground attack fighters known by the Italian Air Force as the A-11 Ghibli. 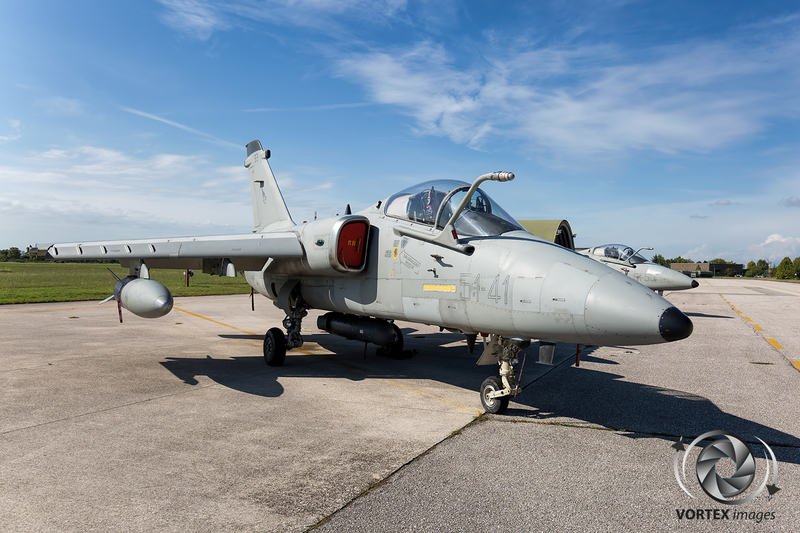 The AMX was born when the Italian Air Force started looking for a single engine attack and reconnaissance aircraft that could replace their ageing Fiat G-91Y’s. 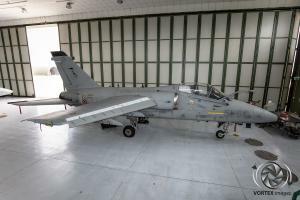 At the same time a requirement was issued for a light strike fighter that could replace the RF-104G in the reconnaissance role. 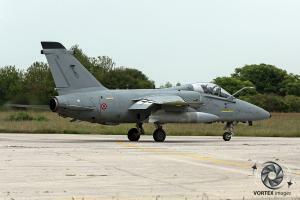 Both requirements where bundled into one and a proposal for the Italian requirement of 187 fighters was issued by a venture between two Italian companies, Aeritalia (now Alenia Aeronautica) and Aermacchi. 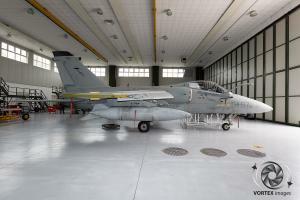 In 1981 the Brazilian government signed a deal with the Italian government to join the AMX project. The Brazilian Air Force had a similar requirement for 100 aircraft to replace the Aermacchi MB-326, known by the Brazilian Air Force as AT-26 Xavante. 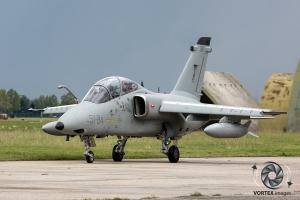 As a result of this deal Embraer joint the venture between Alenia and Aermacchi and became the final partner. 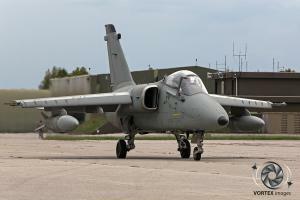 The joint venture between these three companies was named AMX International. 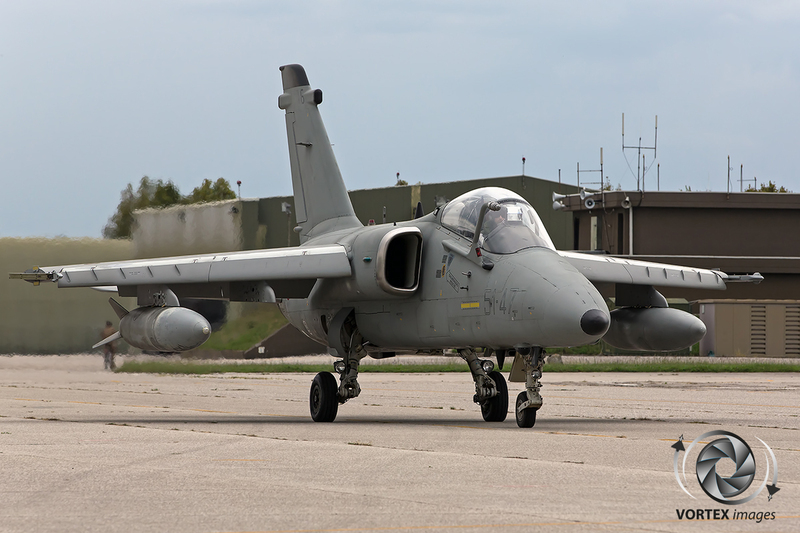 The production of the AMX was divided between the three partners with Alenia manufactured 46.5% of the components (central fuselage, stabilizers and rudders), Aermacchi produced 22.8% (front fuselage and tail cone), and Embraer performed 29.7% of the work (wing, air intakes, pylons and drop tanks). 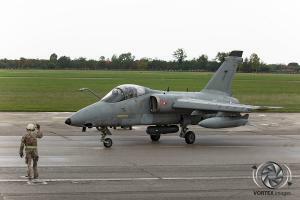 The initial order was for a total of 272 aircraft for both nations however this was later reduced to 207 aircraft of which 136 of these were for the Italian Air Force. 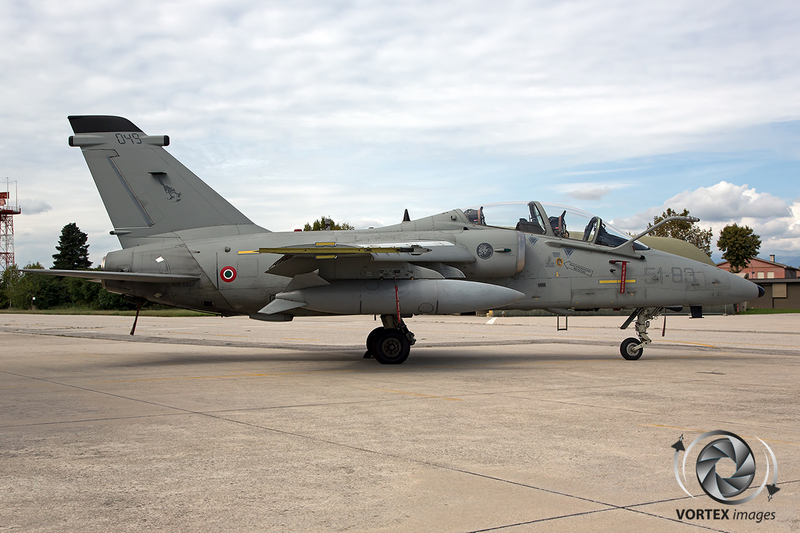 The parts were shipped between Italy and Brazil because each country created a final assembly line in their own country for the aircraft of its own Air Force.They AMX would be known in Italy as A-11A and TA-11A and in Brazil as the A-1.The AMX is called Ghibli in Italian service after a hot dry wind in the Libyan desert. Several engines were examined for use in the new aircraft. Amongst these were the RB199 used in the Tornado and the Roll Royce Spey engine. The Spey 807 model was selected, this was an improved version of the engine that powered the British F-4 Phantoms but was lacking the afterburner section. As the aircraft was not build for speed this was not a requirement. The choice for the British Spey engine was also made with an eye on potential export order as there were no import/export restrictions as supposed to an American made engine. Due to the US restrictions there is a difference between the Italian and Brazilian AMX. The Italians have equipped the AMX with a single M61 20mm rotary cannon. As this was banned for export to Brazil by the US, the Brazilian Air Force had this replace by two 30mm DEFA 554 revolver cannons. 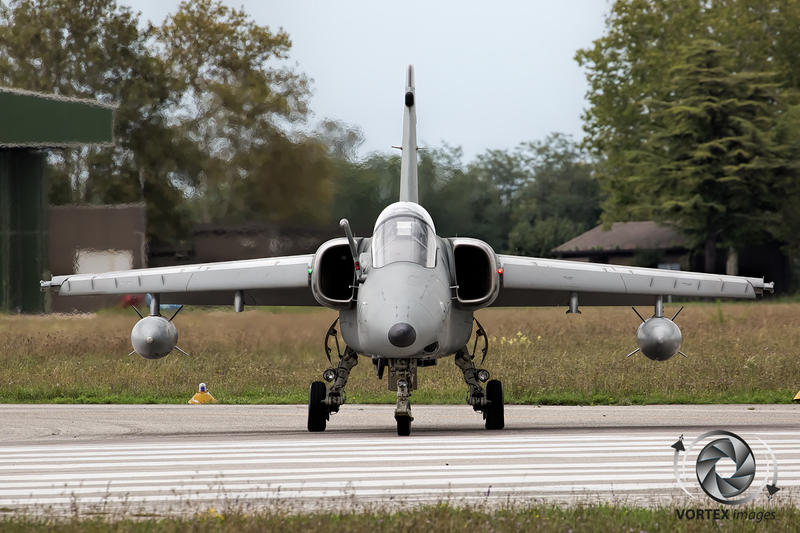 Also the avionics differs between the two versions but this is mainly because of the fact that the Italian Air Force needs their AMX aircraft to be compatible with NATO standards. The AMX has 5 hardpoints that can be used to carry a wide variety of air to ground weapons including laser guided bombs. 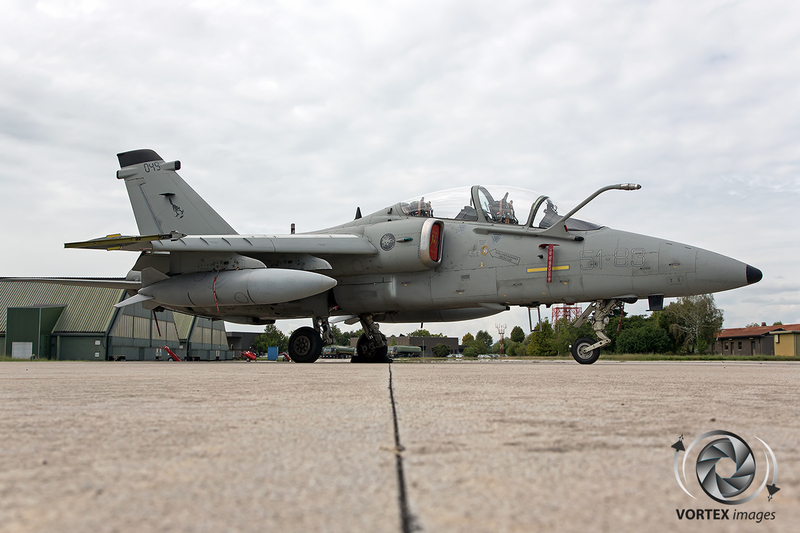 The laser guided bombs are used in combination with the AN/AAQ-28(V) Litening targeting pod,which is carried on the centerline. 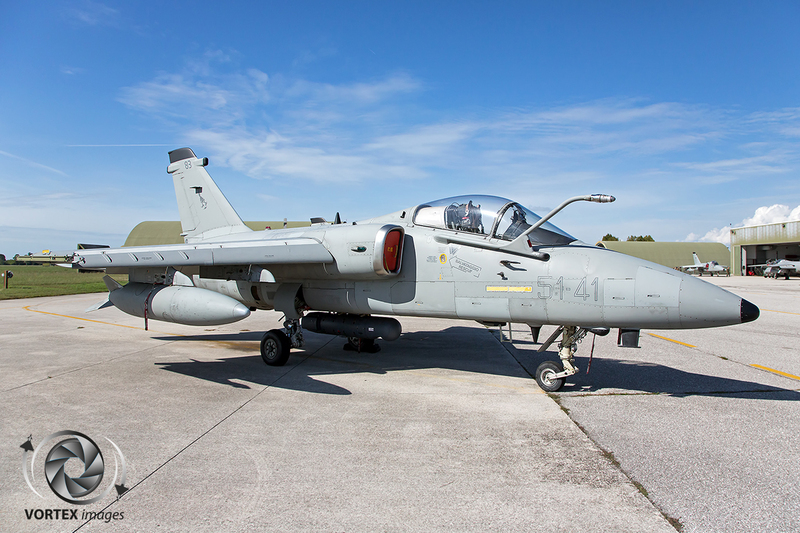 To defend itself against airborne threats the AMX can also be equipped with Sidewinder air to air missiles that can be attached to the rails on the wingtips. 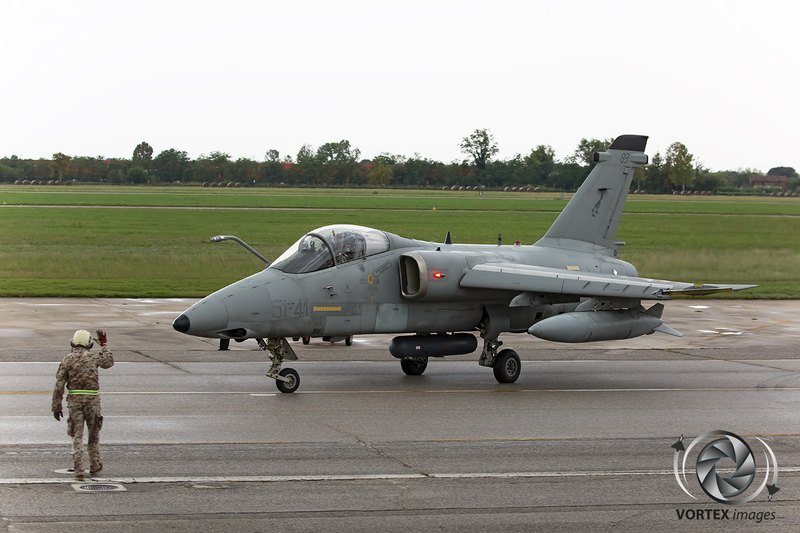 In 2005 the Italian AMX fleet was upgrade to the ACOL standard. 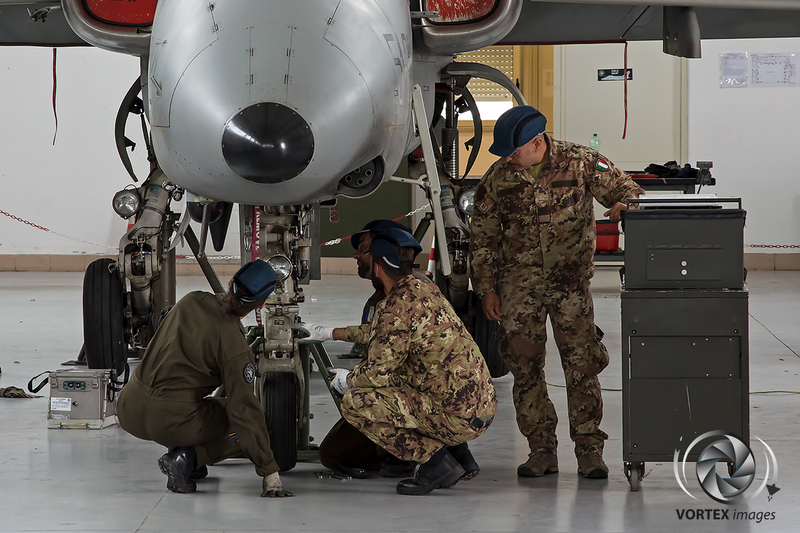 ACOL stands for Aggionamento Capacità Operative e Logistiche – Operational and Logistical Capability Upgrade. This upgrade included a new laser INS and improved cockpit displays. 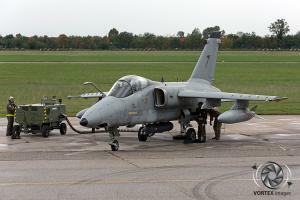 With this upgrade the AMX was also capable to use the JDAM munitions in its air to ground role. 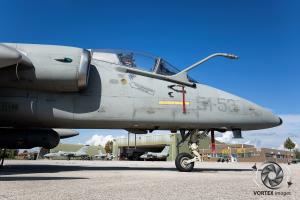 Only 55 of the original 187 AMX aircraft were upgraded to this new standard. After this upgrade the designation of the AMX in Italian service changed to A-11B and TA-11B. The AMX was equipping 3 Stormo’s at its introduction. Those Stormo’s equipped with the AMX where 3 Stormo in Villa Franca di Verona, 32 Stormo in Amendola and the 51 Stormo in Istrana. 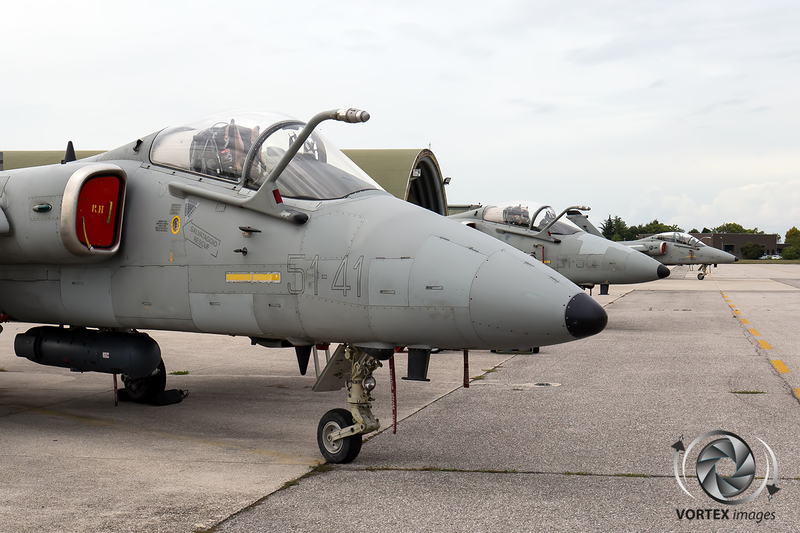 The 3 and 32 Stormo are no longer flying the AMX and the 32 Stormo 101 Gruppo was transferred in July 2014 to 51 Stormo so that all the remaining AMX flying Gruppo’s were under command of the same Stormo at Istrana airbase making this the last Italian Air Force wing that operates the AMX. 101 Gruppo, which is the operational conversion unit. 132 Gruppo, which is the reconnaissance unit. “Although every squadron has its own task they are all capable to perform all typical missions of the AMX without any difference. Each of them fly with the same machine and each of them can be combat ready if necessary doing exactly the same operations” as explained by Capt. Barone. 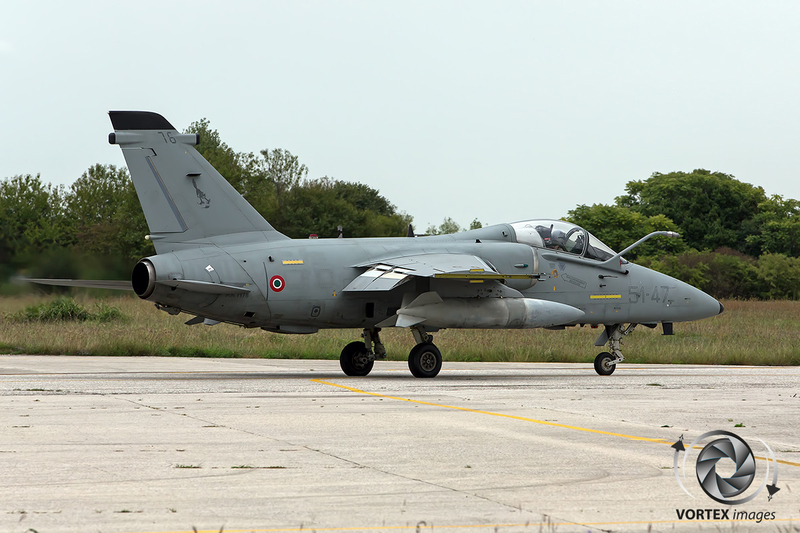 Due to a reorganizations within in the Italian Air Force 103 Gruppo has stopped their flying activities on the 22 of September 2016 aswell as 101 Gruppo on the 3rd of November 2016. 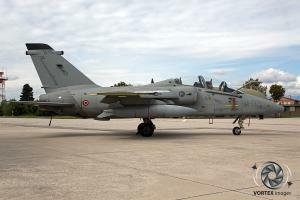 This however means that these Gruppo’s are not disbanded but are in a sleeping status and can be returned to flying status if the Italian Air Force needs them. The only active Squadron at this moment is 132 Gruppo which now performs all the tasks that were originally performed by these three squadrons. All new AMX pilots start their Air Force career at the Military Academy, after learning how to be a soldier they start on the SIAI-Marchetti SF.260EA with 70 Stormo at Latina Air Base, south of Rome. After the selection training the Air Force students go on to phase 2 training. This is done at three locations. 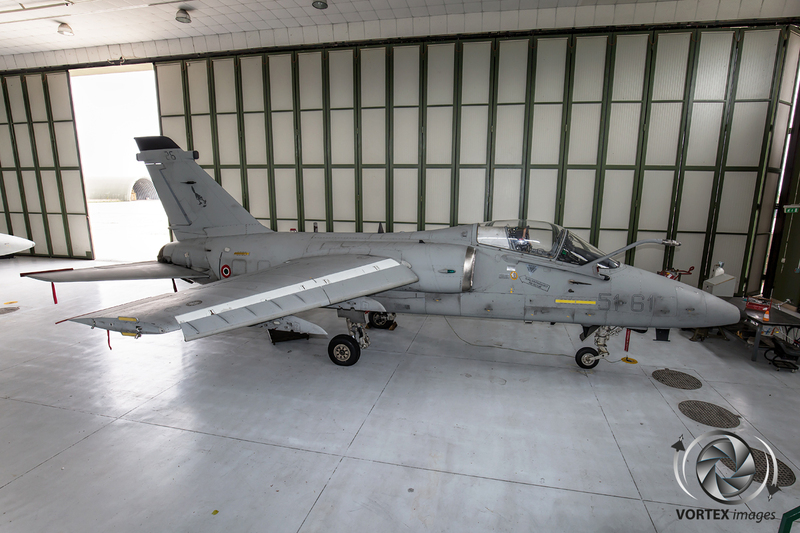 Either with 61 Stormo at Lecce Galatina Air Base, in Southern Italy, flying the Aermacchi MB-339A, or at Kalamata Air Base in Greece, or at Sheppard Air Force base in the United States both of which would see the student fly the Beechcraft T-6A Texan II. Those on Phase 2 training with the Euro-NATO Joint Jet Pilot Training (ENJJPT) programme at Sheppard Air Force Base (AFB), Texas complete just over 100 hours flying the T-6 covering visual and instrument flying, navigation, basic and tactical formation work and low-level operations with NATO instructors. 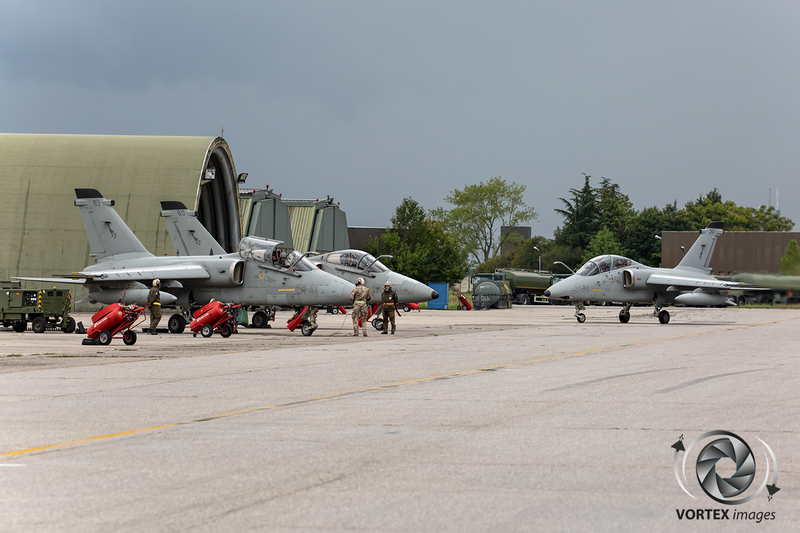 Phase 2 training at Kalamata is slightly longer as this is around 120 hours and is flown with both Greek and Italian Air Force instructors. 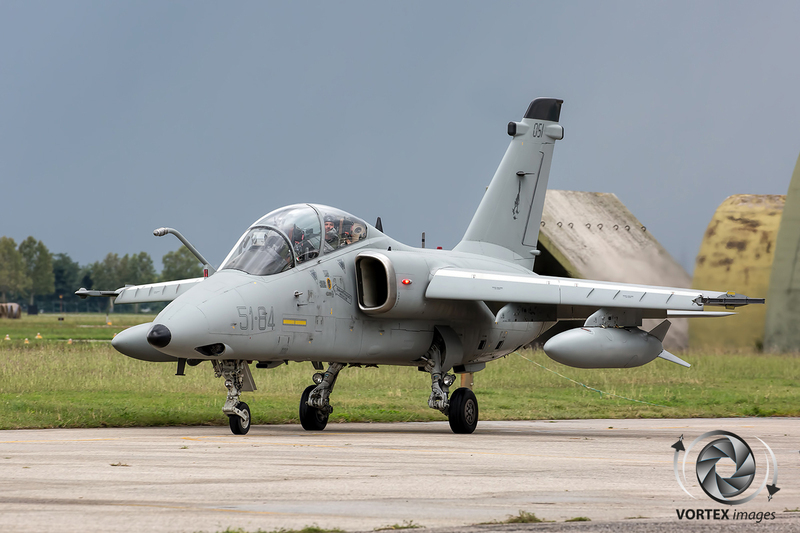 After completing Phase 2 the student pilots proceed to the Phase 3 Fighter track, that takes place at Lecce airbase, flying about 100 hours on the Aermacchi MB-339CD. 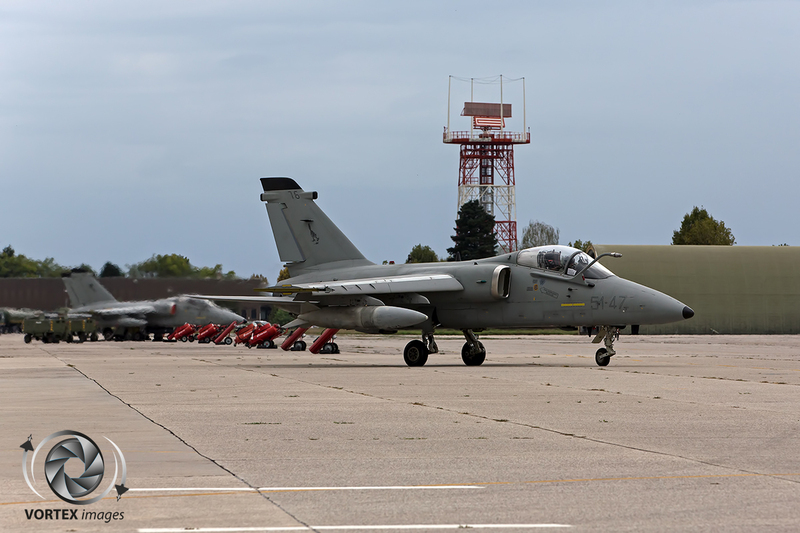 Here the student pilots will consolidate skills in visual, instrument, navigation and formation flying, and will be trained in the fundamentals of Air to Air and Air to Ground operations. After successfully completing this phase of training, they are awarded the highly desired AMI Brevetto di Pilota Militare (BPM – Military Pilots Licence). 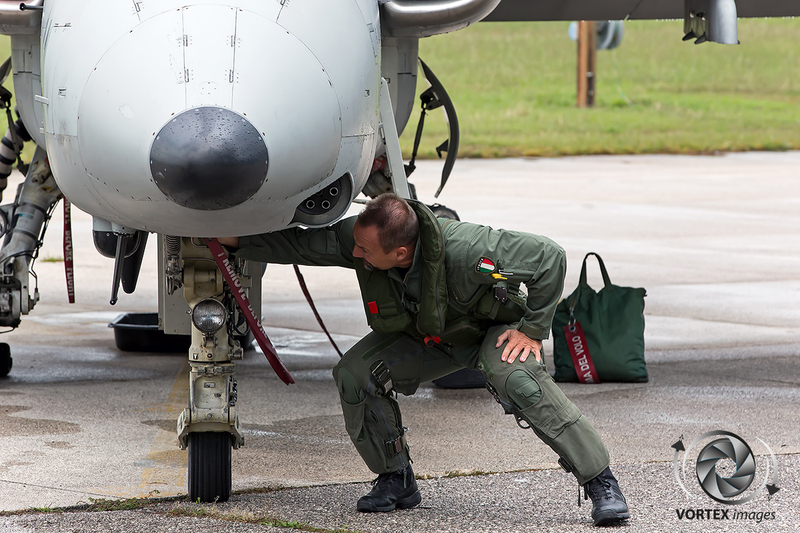 To conclude the fast jet pilot course, the final element of their training is Phase 4 better known as “Lead In to Fighter Training” (LIFT). 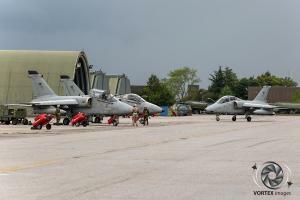 It takes place at Lecce airbase, where they fly about 90 hours on the T-346. 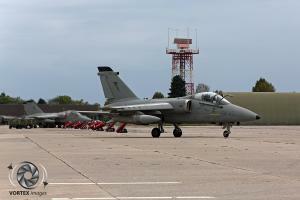 This is the last stage before they join the Typhoon, Tornado, AMX or F-35 Operational Conversion Units. Of all its tasks, reconnaissance is a very important task for the AMX. 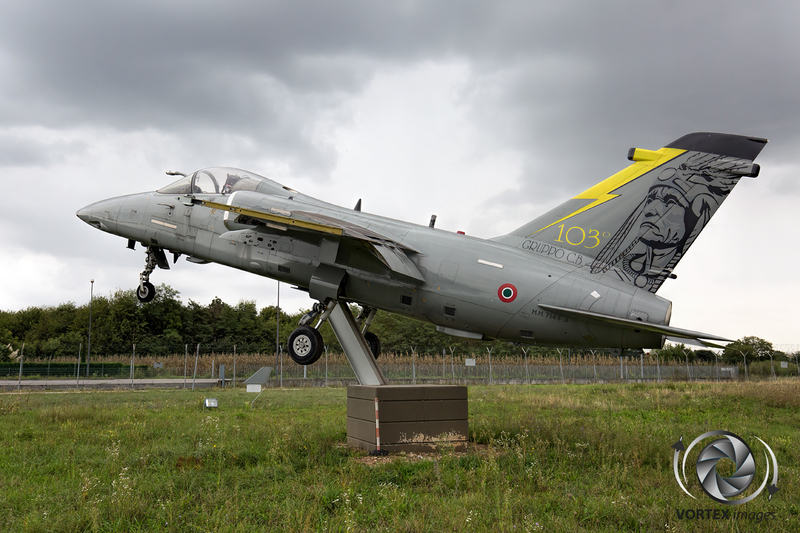 In the past this task was performed with the Dutch made Orpheus pod which was also used by the Italian Air Force RF-104G Starfighters. The Orpheus pod made use of wet film that needed to be processed when the aircraft was back at its airbase. 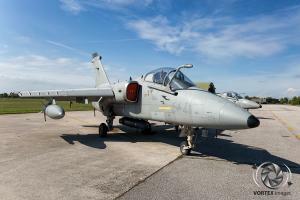 Nowadays the AMX can be equipped with the Reccelite pod that is capable of transmitting the images in real time back to base. This is put to good use by the Italian Air Force when they deploy the AMX to a hostile environment like Afghanistan or more recent to Kuwait to support the fight against ISIS. This real time capability lets the AMX to take pictures that can be send down to the troops on the ground so that they can check for possible IED’s. The Recce task is also used to support Civilian organizations. 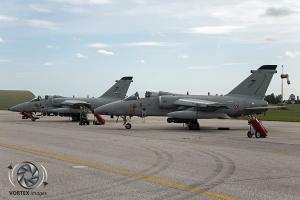 In recent years the Italian Air Force has been called to support rescue teams after earthquakes especially in centre of Italy. 51 Stormo, in particular, used the Reccelite pod to take real time pictures of the devastated areas and its surrounding villages. This helped the rescue effort because in this way they knew on forehand if a road was damaged or flooded so that the rescue teams could plan the fastest route to the nearest reachable hospital without any hold ups due to blocked or flooded road. 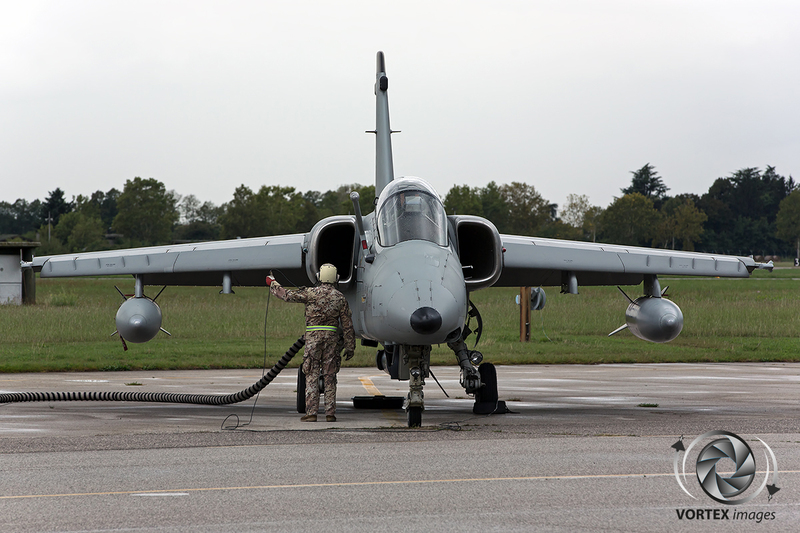 During its deployment to Afghanistan The AMX was typically deployed for Recce and CAS missions. For the recce missions the area which needed to photographed was loaded into the recce pod. This area was divided in a pattern of imaginary lines called “legs”. Pilots had to fly as precise as they could to get the pod aligned with these imaginary lines. The pod will automatically turns on and acquires the images. After all the legs have been completed the aircraft will either return to base or will join a tanker aircraft to take on more fuel to move to another area for new legs. In the CAS mission its almost the same. 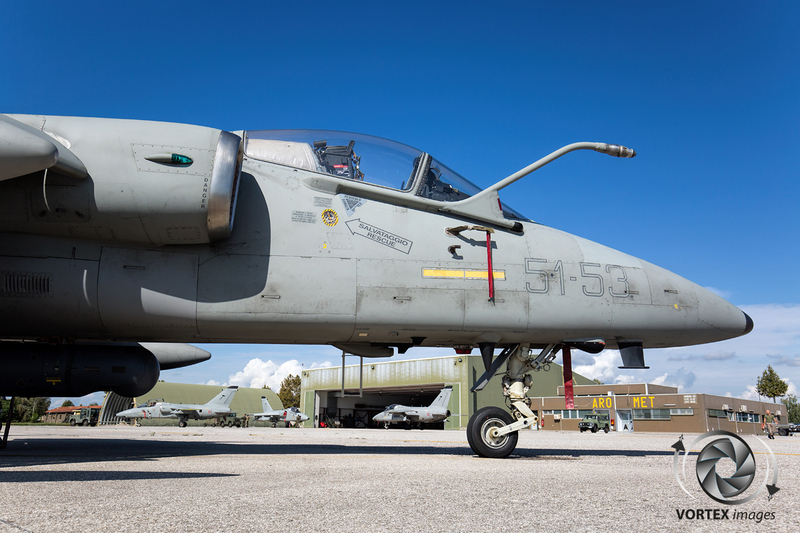 But instead of flying the “legs” the aircraft will loiter at an determined altitude and at a predetermined point and will be in constant contact with JTAC’s (Joint Terminal Attack Coordinator)in order to support the troops on the ground. When the need arises the AMX can support the ground forces in various ways. For example by a show of force or if this non lethal approach doesn’t work they can either do a strafing or a bomb run to support the ground forces. 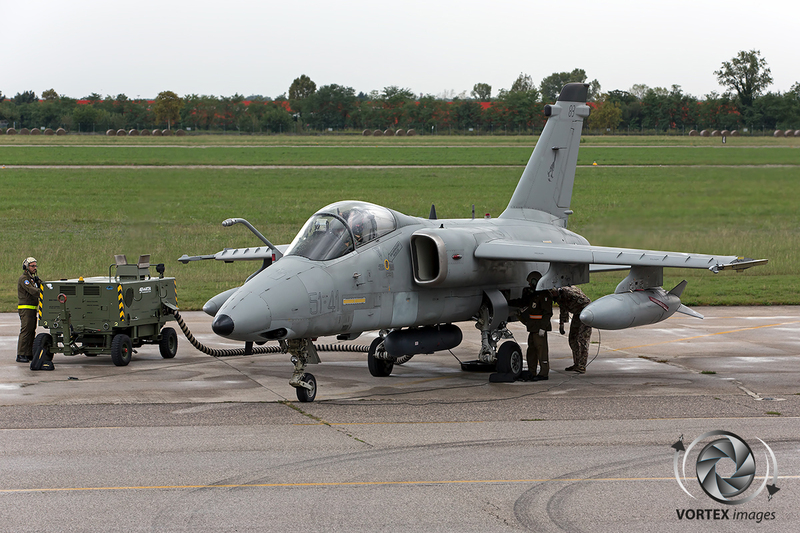 Because the AMX is not a complex aircraft it is easy to maintain and kept the Italian Air Force on a 100% readiness for all its missions in Afghanistan not a single flight hour or mission was cancelled. Although the end is near for the Italian Air Force AMX It is not clear what the future will bring for the AMX community. 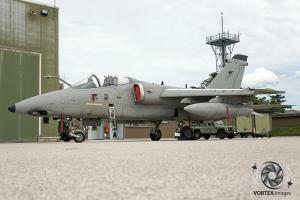 No decision has been made yet about which aircraft will replace the AMX. One thing is for sure though. 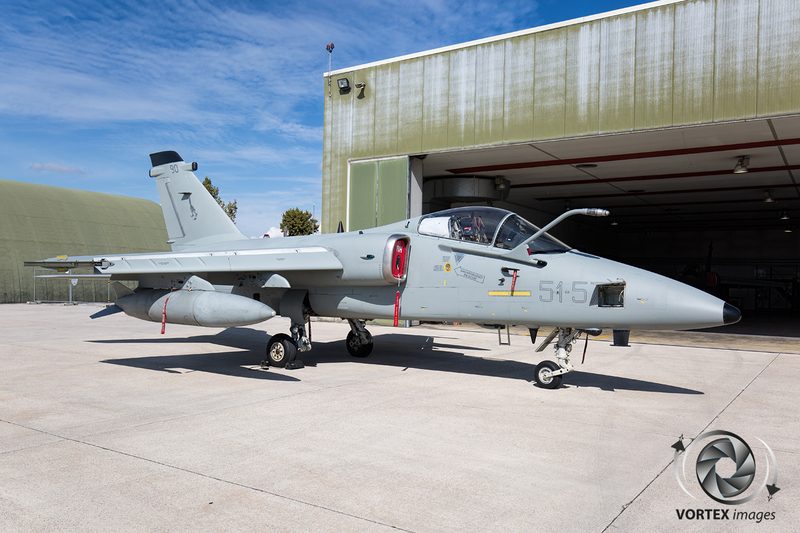 Whatever the future brings, 51 Stormo is ready for it as demonstrated by Commander Col David Morpurgo “What we can assure is that whatever will be the superior decision about the future of Istrana we will work at the best of our capabilities till the last day of AMX “. 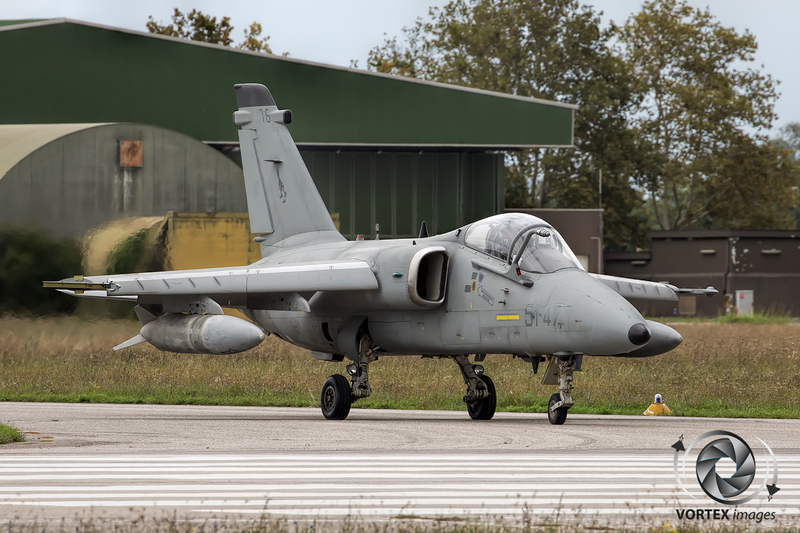 We would like to express our gratitude to Capt.Marco Barone and his collegues at Istrana Air Base as well as the Italian Air Force, the Italian MOD and the Dutch Embassy in Rome for their support in preparing this article.